As the Formula 1 madness descends upon our sunny shores once again, fans looking for an exclusive after party with the who’s who of the racing circuit need to look no further. Coasting on the bespoke coattails of the 2015 Singapore Grand Prix, the ever glamorous Amber Lounge returns with its nights of revelry and star-studded soirees. 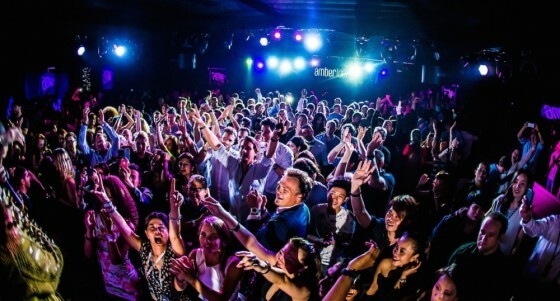 Setting the stage for Singapore’s milestone 50th birthday, Amber Lounge is back for the Grand Prix – bigger and more extravagant than ever on 19 & 20 Sep 2015 (Sat & Sun). After a glimpse of some tire-squealing action, Amber Lounge will be the only venue during the GP weekend to host a fashion show featuring the F1 drivers themselves on the catwalk modelling iconic British label Ted Baker. Following acclaimed fashion guru, Daniel Boey’s choreographed show, adrenaline-fueled, action-packed powerhouse live performances from international artists seek to dominate the evenings for an unforgettable weekend. With the dapperness and glitz turned up to 11, Amber Lounge has promised huge surprises in store to celebrate Singapore’s 50th birthday. Known for its distinct savoir-faire and high sartorial bar, Amber Lounge is back to affirm its spot as the ultimate party destination for the F1 fraternity. Chart-topping artists including Taio Cruz and Estelle have performed live at Amber Lounge Singapore, and past celebrity guests including football superstar David Beckham and Maroon 5 keep the atmosphere vibrant and exciting, while premium beverages and Methusalem bottles of champagne flow all weekend long. The best part: this party attracts quite a fair bit of gatecrashers, all wanting in on the action and the free-flow booze. (The booze never stops flowing: that, we can assure you.) Suffice to say, those gatecrashers will never make it through the golden gates, so make sure you get tickets for this one. Don’t look bougie in front of the jet-set.